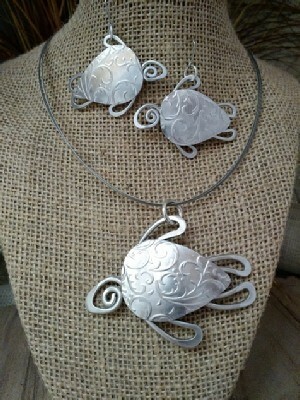 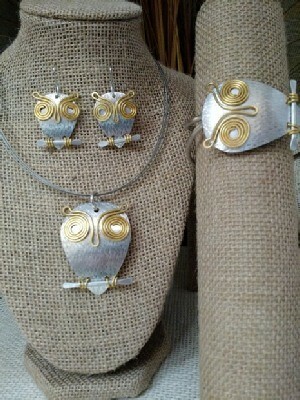 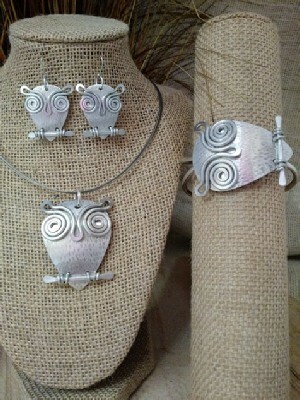 Priced is Per Item: Pendants $36, Earrings, $36, or Cuffs $36. 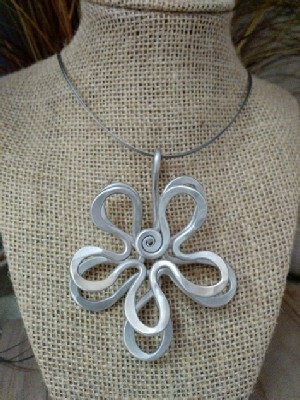 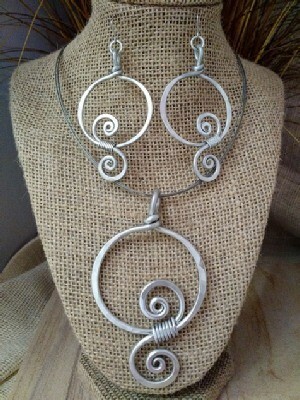 Aluminum Jewelry - Take a fine piece of steel wool, gently rub the jewelry and then wash with mild dish soap and water. 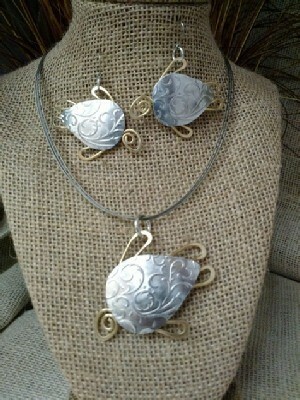 Brass/Mixed Metal Jewelry - Use Brasso and a terry towel to rub it in and the rinse well with cold water.